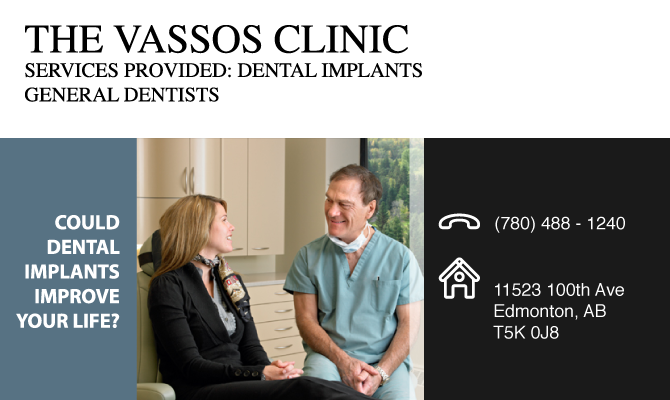 The Vassos Clinic uses the knowledge gained through experience to offer function, aesthetics and comfort with dental implant treatment. Dr. David M. Vassos has placed and restored dental implants in his general practice for 45 years. He continues to advance our clinic’s goal to improve treatment outcomes for our patients. Patient care and comfort are paramount to Dr. Vassos and his clinic staff. The Vassos Clinic strives for a truly pleasant patient experience and results you’ll be proud of.